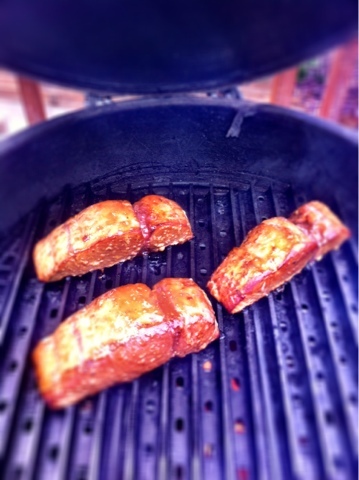 Now I'm getting creative with my surplus of Mahi Mahi. I'm serving it on a bed of Thai Peanut Soba Noodles. It's getting all glazy goodness. 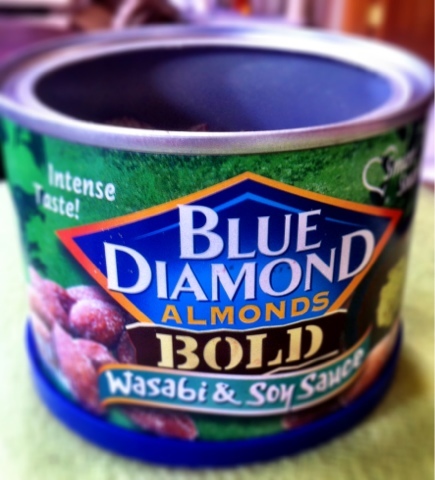 Blue Diamond Almonds just got more awesomer. 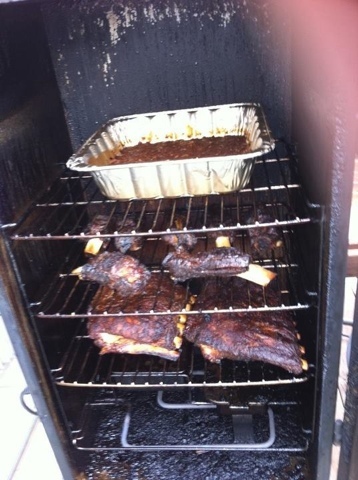 I found some beef ribs and some pork spare ribs which was pretty cool because all we can ever get here in Colorado is boring ol' baby backs. Don't get me wrong I do love baby backs but it's nice to change it up. 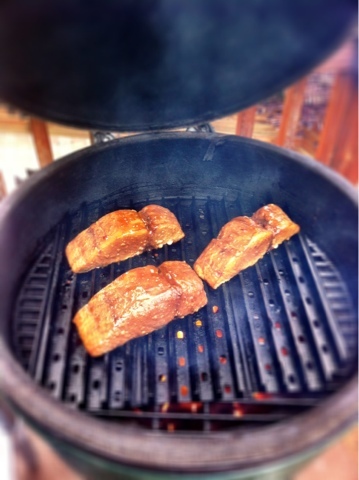 The pork ribs were rubbed with a home made rub that was heavy on Chinese 5 spice and dry mustard. They turned out awesome. The beef were I little more simple with sea salt and cracked pepper. Both were served sauced and by the time they were done so was I. I decided to smoke the beans with the meat that's them on the top rack. All in all it was a perfect BBQ session if I do say so myself.